Creative expression that won’t censor your shred session. 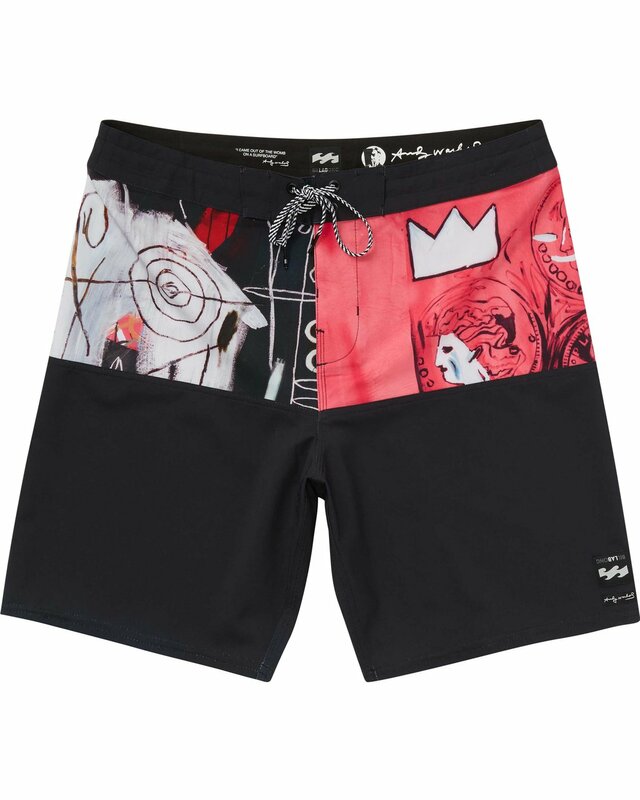 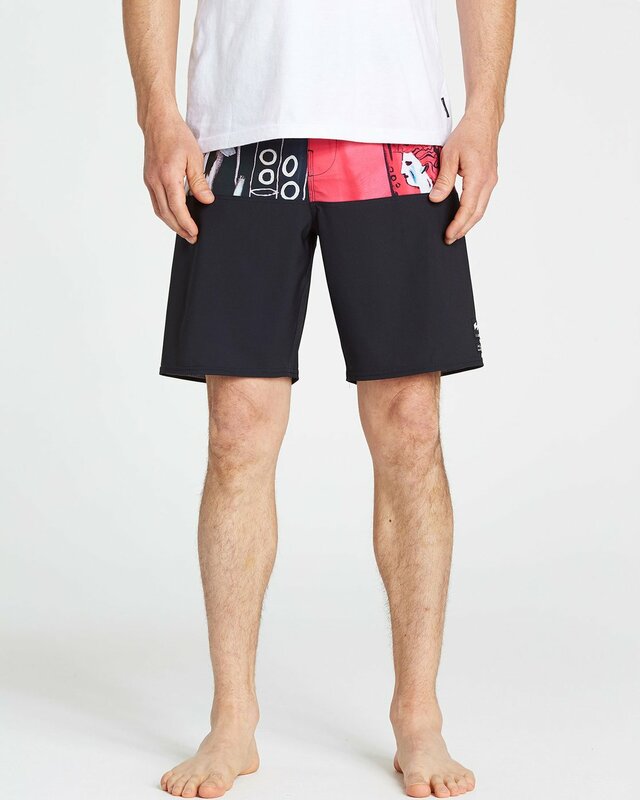 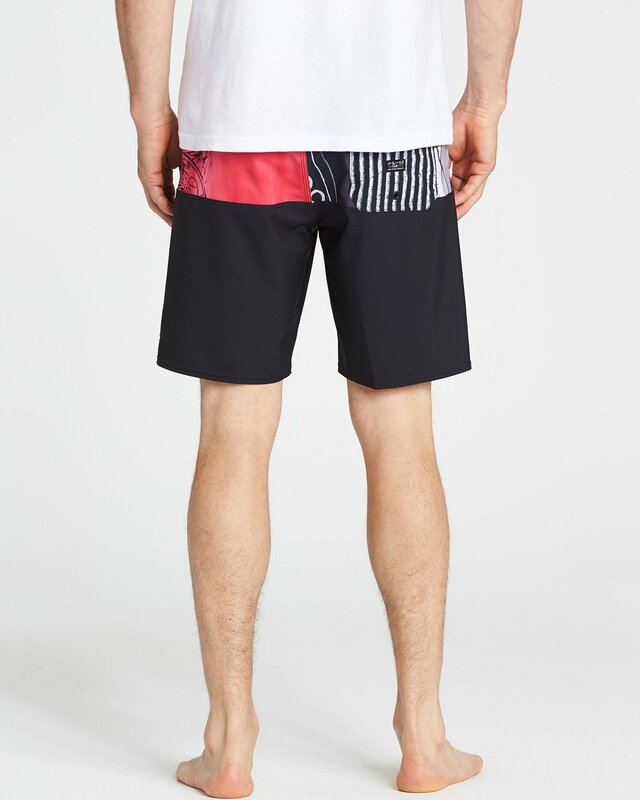 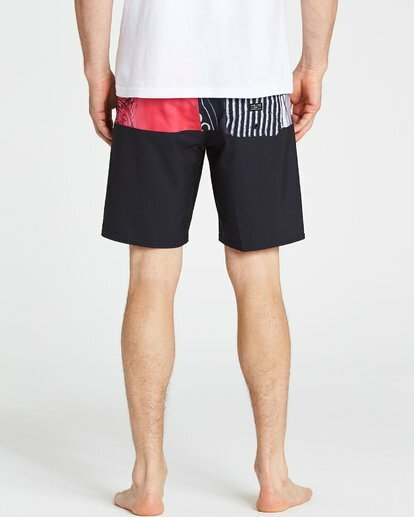 Part of the special Billabong “LAB” collection with world renowned pop artist Andy Warhol and his great friend Jean-Michel Basquiat, the Platinum X Series Factory X boardshort features collaborative artwork printed at the upper panels. 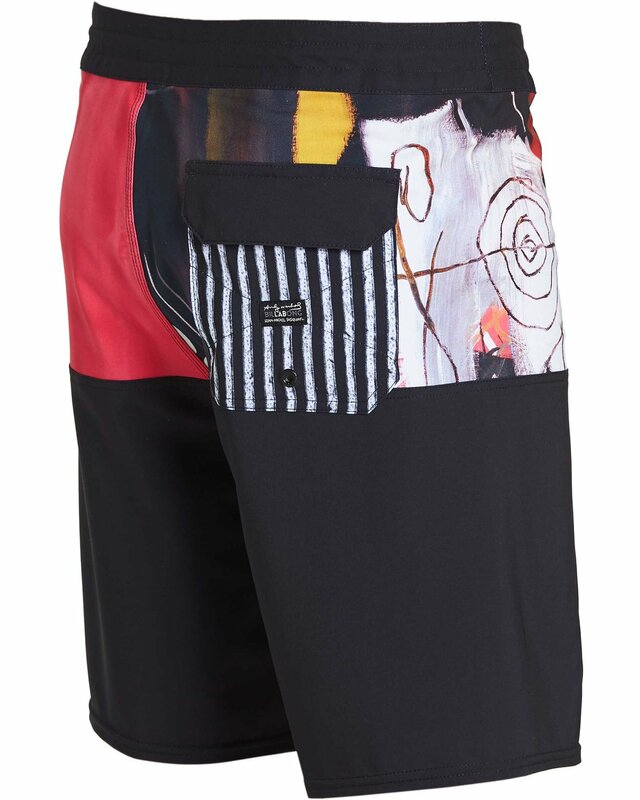 Performance details include a 4-way stretch fabric, an engineered fit and Micro Repel coating. 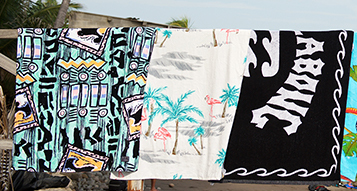 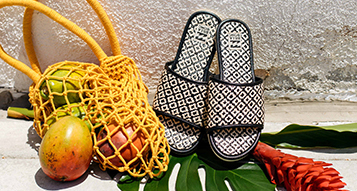 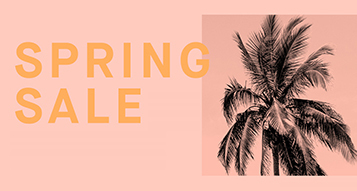 The Warhol Basquiat x Billabong Collaboration is a delightfully unpredictable ménage a trois of creativity celebrating what happens when fearless minds come together. 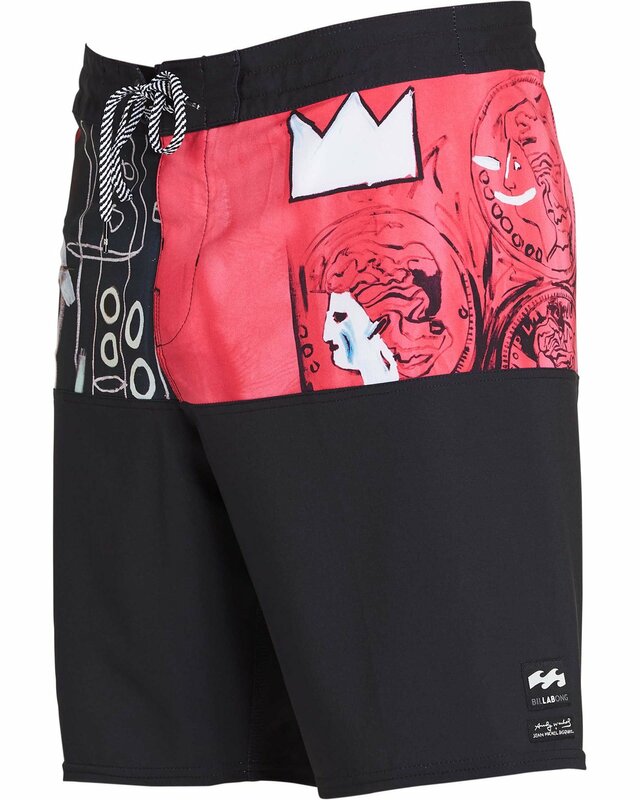 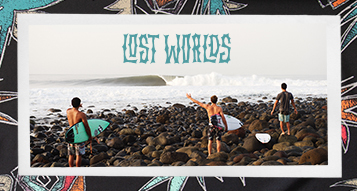 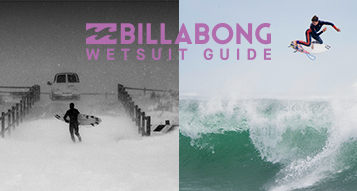 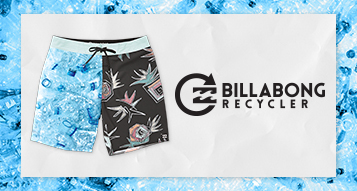 Billabong Platinum X Series boardshorts.